Details: Material:3mm sequins And Mesh fabric backing. 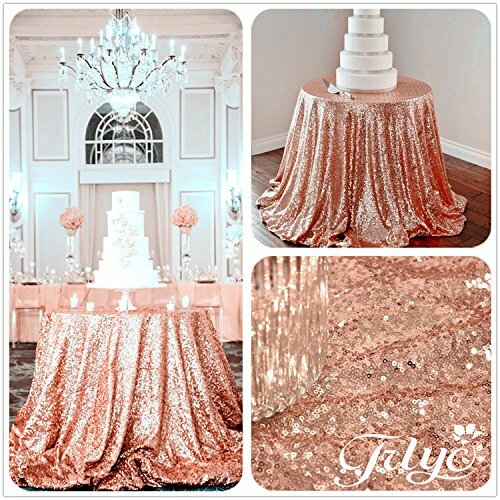 Size:72”,90”,96”,108”,120”,132”,156”,196” Round Rose Gold sequin tablecloth. Color: True Rose Gold, is Royal. Design: table runner with seamless, tablecloth Perfect Seams. Edge: Serge. Packing:1 tablecloth for a plastic Brand bag. Washing: Dry washed.